It sounds good, at first. Allowing senior and elderly drivers to opt out of Michigan auto No Fault insurance and use Medicare exclusively for medical treatment and care after a car accident sounds like it would save senior citizens money. But it is reckless and wrong. And for those senior citizens who are seriously injured in a bad car accident in Michigan, this bad idea can cause enormous harms if it becomes law. Yet, that’s what lawmakers like Sen. Rick Jones (R-Grand Ledge) are trying to do with Senate Bill 787 (introduced on January 25, 2018), which allows senior drivers to opt out of unlimited auto No Fault insurance coverage in favor of considerably limited and potentially far more costly coverage provided by Medicare. 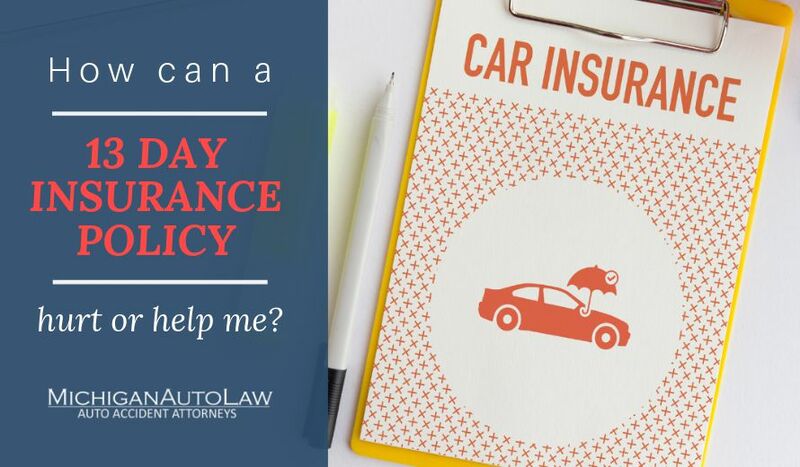 No guaranteed auto insurance savings: The bill fails to guarantee any meaningful, long-term savings on auto insurance prices for senior drivers. We’ve seen this “bait and switch” before – and without guaranteed savings, we can expect any savings to be erased shortly thereafter by rate increases. No Fault cap will leave seniors woefully under-insured in the event of a car crash: The bill’s proposed $50,000 cap on No Fault benefits (especially medical benefits) for senior drivers is “irresponsible and unrealistic,” which is how the Detroit Free Press described a proposed $50,000 No Fault cap in 2011. Medicare may not cover auto accident-related injuries and accompanying medical costs: As an auto accident lawyer, this is the biggest problem for me. Senior citizens who opt out of Michigan auto No Fault have no idea how dangerous this will be for them if they suffer serious personal injury in a car accident. This is because Medicare won’t allow its benefits to be coordinated with No Fault benefits (i.e., make Medicare the primary payer, as the No Fault Law allows drivers to do with health insurance) and because SB 787’s proposal is, in effect, coordinating benefits. Additionally, it’s very likely Medicare won’t provide coverage to senior drivers who opt out of No Fault under SB 787 for necessary medical care and treatment that Medicare does not provide. I should add some insurance lawyers feel Medicare wouldn’t even have to provide any coverage whatsoever if senior citizens choose an opt-out of Michigan auto No Fault because under federal law, Medicare is a secondary payer on medical expenses for auto accident-related injuries. This is incredibly dangerous and reckless. SB 787 is literally playing Russian Roulette with the lives of senior citizens who will be injured in car accidents, on a vague promise of some possible future savings. Medicare will require senior auto accident victims to repay medical expenses from their pain and suffering recoveries: Have you ever heard of a “Medicare super-lien”? Well, your injury attorney has. If SB 787 passes, you can bet you will, too. What it means is this: If Medicare pays for a car accident victim’s medical care and treatment and that victim, ultimately, obtains a settlement or jury verdict for pain and suffering compensation, then the victim must use as much of that money as is necessary to repay Medicare for what it paid out in medical expenses. To put it another way, senior drivers who sue for their injuries after a car accident – and to recover for pain and suffering damages for their injuries – will face a Medicare lien, also known by personal injury lawyers as a “super-lien” on any third-party tort (pain and suffering) recovery. Medicare gets back most of what it pays from these injury settlements. Realistically, a Medicare super-lien without any primary auto No Fault insurance if a senior opts out of No Fault could leave an accident victim with nothing. This would not be the case if medical care is covered by No Fault insurance, as it currently is. If SB 787 becomes law, Medicare would have full legal subrogation rights to any money damages and compensation that injured senior auto accident victims recover. Unrealistically low Medicare fee schedules for medical providers could jeopardize senior car accident victims’ access to high quality medical care: Because the reimbursements set by the federal Medicare law are so low, it may be economically unfeasible for many of the medical providers and specialists who currently care for elderly car accident victims to continue to do so. That means that victims would be forced to seek treatment with less skilled and/or less experienced health professionals or forgo necessary, potentially life-altering, treatment altogether. How does SB 787 propose to get elderly drivers from No Fault to Medicare? Senate Bill 787 requires drivers who are 65 years of age or older (the eligibility age for Medicare) to select either a $50,000 cap on all No Fault benefits (which applies only to the named insured and his or her spouse) or stick with the current, guarantee of unlimited No Fault medical benefits.